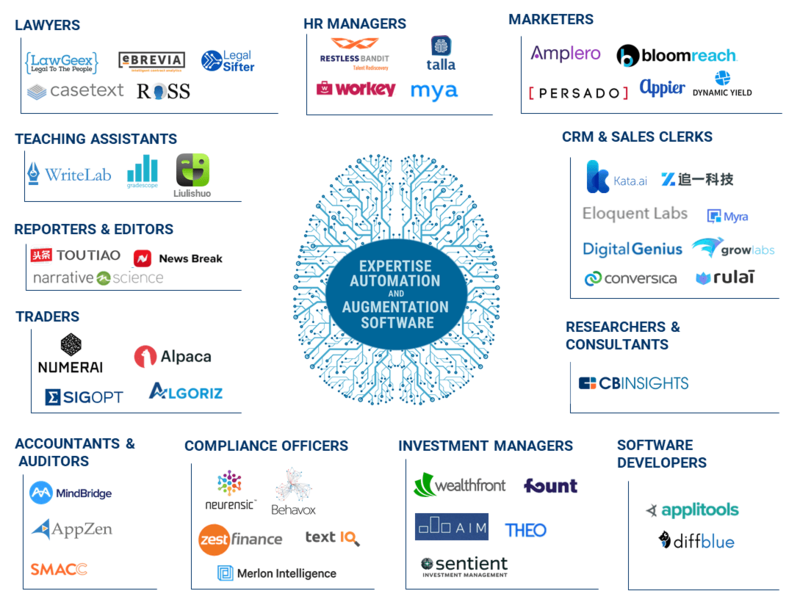 While the impacts of AI often tend to center on blue collar jobs, there are a number of Expert Automation & Augmentation Software (EAAS) companies that will impact white collar jobs — including lawyers, consultants, financial advisors, journalists, traders, and more. We dig into the burgeoning EAAS sector in this detailed breakdown of the landscape. Note: this market map is unlike any other we've ever created. Spot why?